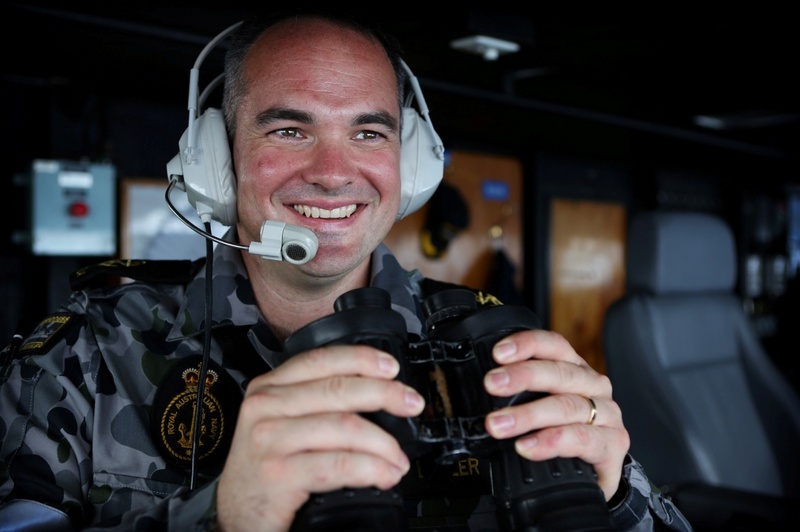 In early April, Her Majesty’s Australian Ship (HMAS) Success again joined the Combined Maritime Force 150 (CTF150) organisation to help the fight against terrorism in the Arabian Sea. 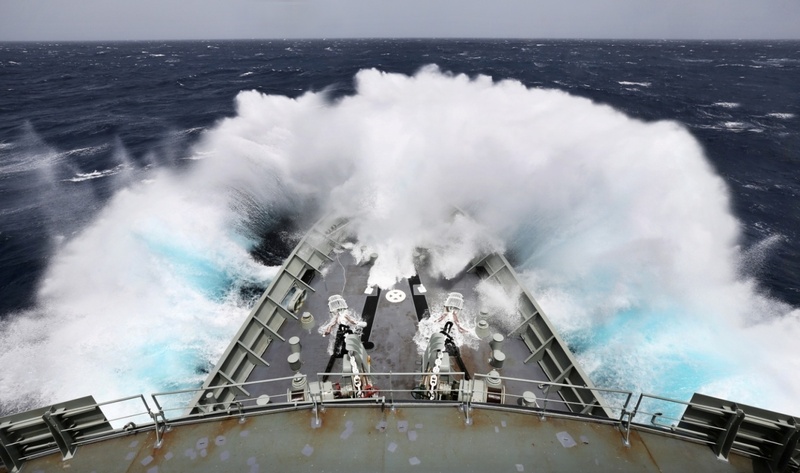 HMAS Success sails through rough seas as she sails to the Arabian Sea to be on patrol for the Combined Task Force 150. CTF 150’s mandate is about promoting the conditions for security and stability in the maritime environment by countering terrorist acts and related illegal activities, which terrorists use to fund their operations or conceal their movements. The activities of CTF 150 directly influence events ashore, denying international terrorists the use of the seas as a venue for attack or to transport personnel, weapons, or other illicit material. One of the many purposes of HMAS Success in the Middle East is to fulfil the CTF150 role of maintaining their commitment to continuing operations that deter de-stabilising activities in the maritime domain. These joint efforts help build a lawful maritime order. This area is a vital artery of world trade that includes the main shipping routes from and to the Middle East region with over 23,000 shipping movements per year. Over one third of the world’s oil passes through the Middle East waterways each year.